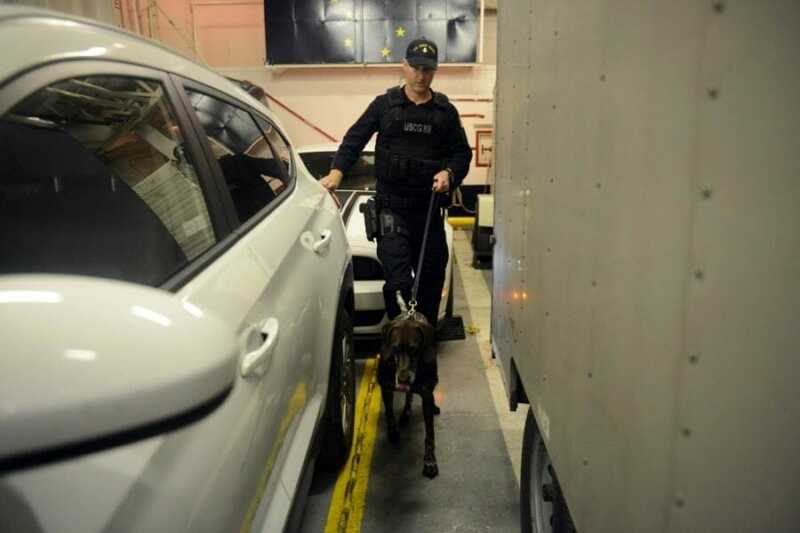 U.S. Coast Guard and Alaska law enforcement agencies seized 56 grams of heroin, an ounce of methamphetamine and almost two pounds of non-commercial marijuana in a large-scale search for illegal activity on ferries in Washington state and Alaska. According to a press release, Coast Guard investigated ferries in Bellingham, Wash., Kodiak, and Ketchikan between June 24 and July 2. Coast Guard members from across the state and the West Coast worked together with local police and Alaska State Troopers to inspect more than 1,500 passengers, 400 crew members and 500 vehicles during that time. Their search included the use of drug-sniffing dogs. Lt. Cmdr. Bernie Auth, who helped coordinate the operation, said joint operations help strengthen relationships between law enforcement agencies and encourage the sharing of resources and abilities. Auth adds that a major goal is to deter and detect the transportation of illegal items via the sea. “Just with the Coast Guard being a maritime service, we know that’s one of the ways that illegal activity can be make it up to the state and throughout the state, so we want to do everything we can do eliminate that,” Auth said. This is the second operation the Coast Guard and their partners have completed together, Auth said. The last one was in March.